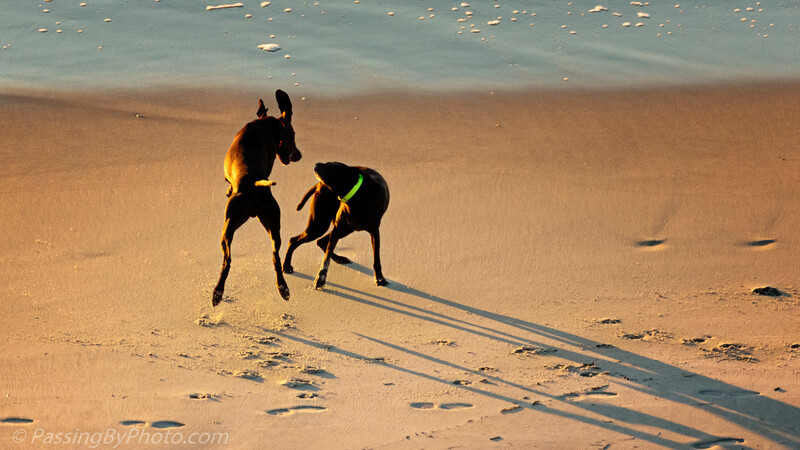 The sun rose on two dogs who were burning energy playing on the beach, especially the one with the orange collar. 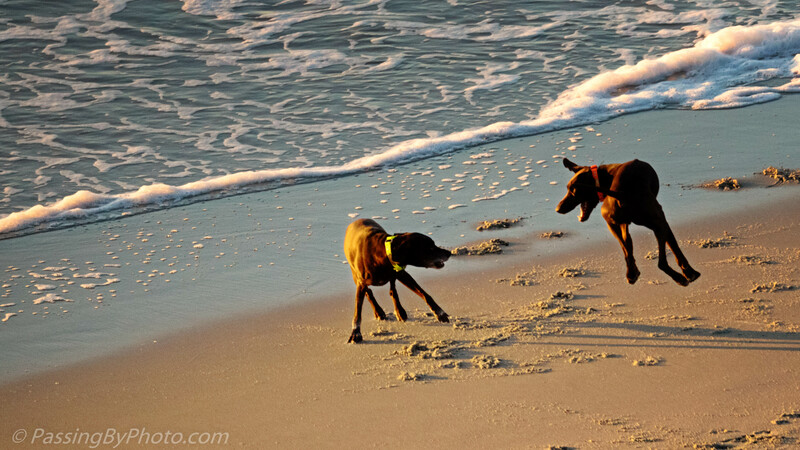 The owners were walking along at a leisurely pace, while one of the dogs sprinted ahead then back. 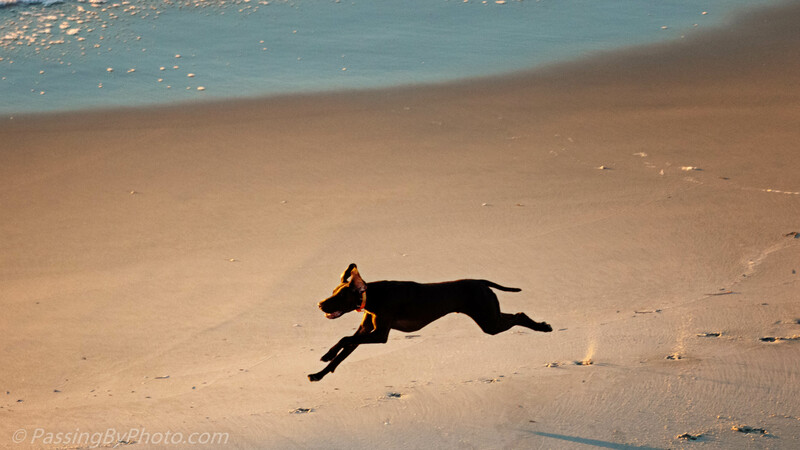 When he rejoined his group the other dog (Green Collar, left below), mostly let the other one run circles around him. At the point of this image Orange Collar was fully levitated. Nice photos Ellen! You’ve certainly captured their exuberance. Thanks, Belinda. It was a joy to watch them having so much fun.